KAMPALA – Dokolo South Member of Parliament, Felix Okot-Ogong on Wednesday came out to strongly denounce the statement made by President Museveni that his radio station, Voice of Lango is fighting government programmes. 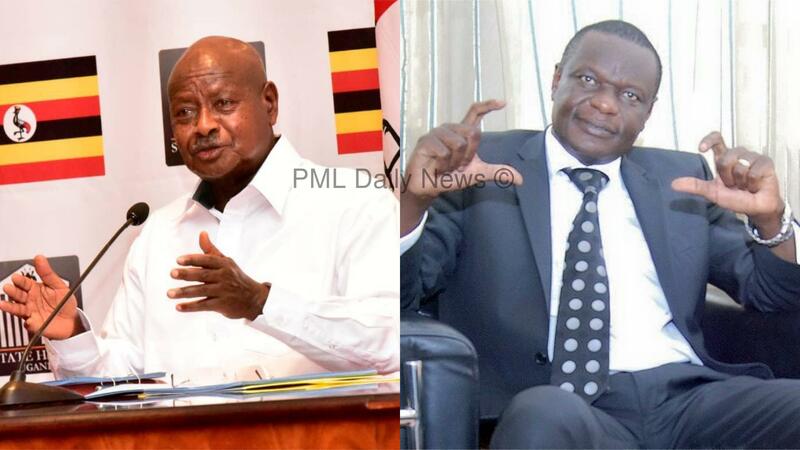 Following the president’s address to the nation on Sunday, September 9, Okot-Ogong on Wednesday, September 12, told the press in Kampala, that some of the remarks by President Museveni are tormenting his employees and may cost his business, Voice of Lango Fm based in Lira town. He said Museveni uses the name of NRM to accomplish his personal interests instead of those of the party. “There is a serious problem at the radio station because the president doesn’t want a politician who has money,” he said. The MP said he lost over Shs15bn in 2011 when he imported sugar which disappeared under unclear circumstances. The legislator said Voice of Lango is a people’s radio that gives them an opportunity to air their opinions but it is never used to decampaign government as the president alleged. Okot-Ogong said much as the radio meets all standards, it is always being fought by the state. In 2010 President Museveni accused the radio station of hosting former UN Diplomat and presidential candidate Olara Otunnu who allegedly attacked the president. The president’s office has since 2010 reportedly put the radio management under pressure to apologise and retract the remarks made by Dr Otunnu ahead of the 2011 election. Okot-Ogong said most investments in Uganda including those in agriculture are foreign owned because foreigners are not fought. The legislator, also an NRM member, said much as the president doesn’t want people to talk about problems, he is not afraid to speak out because the problems also affect members of NRM. In a video footage circulating on social media, the MP vows, “The president will not threaten me at all. I will talk for the people if it is something affecting our people I will not stop talking.” “Never use the party when you need their help! And after getting the help of the party, you do your own things. Some of the things done are not consulted from the secretariat, it is friends, relatives and in-laws,” Okot-Ogong reiterated. President Museveni recently blamed different media houses including Voice of Lango and NBS television for reporting in a way that totally disregards government developmental programmes.